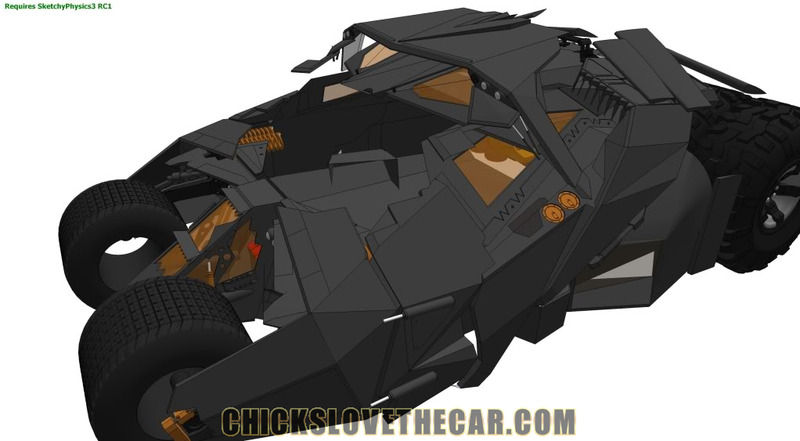 Home » 1989 Batmobile Forum » Archive » Bad Craftmanship?? What's happening on the side here? Not bad craftsmenship. Just some shortcuts for the stunt show. If memory serves, that was either a weapons pod or a special effects door that released an explosive when the Batmobile was fired upon. But the removeable section of the wing is by design. As is the quick-release trunk because that car is powered by either electrics or by a VW rear engine and the pins allow easy maintenance access. As far as the windows go. The canopy that is on this car (as with most of the replicas out there, were spawned from the Ohrberg/Butts car molds. The original studio canopy molds (The infamous "Blue" molds) had a window lip all the way around the "eyes" of the winshield that was about 3/4 inch thick. So most builders have simply taken plexi or lexan and fit it up flush to the inside of the FG canopy shell. The Six Flags cars need constant up keep (Don't want the stunt driver running down Batman during a show right?) So the glass swaps out easily using bolts. Ugly, but efficient. But to SF, the car is only there to make money. So they don't treat them with the best of care. Just so long as they runs. Fortunately, here in NJ, our SF is about 20 minutes drive from Rods and Racers (the shop that maintains them... also the shop that built 2 Tumblers for the film) so ours are pretty well maintained. That smashed turbine is a tragedy, but a fact of show business. You should see what they do to the Batsuits. Not sure what you're asking with the engine side pods. Nothing too unusual there. "Distributer" FG cover that just about everyone sells with their kits, most put a wheel spinner cap on top of that and a spindle from a junkyard steering column over that. Your photo just looks like a different spinner cap. 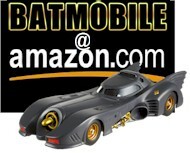 PS... Where's my Batcycle and Batwing Icon? You've only got 5 of my cars on here. How can I finish the page? The short story; Bob never pulled molds off the 89, his molds came from Jay. Jay needed to borrow a lot of money so he gave him the mold and several other items, to hold till he could pay him back. The grills were covered up to make it easier to pull the bodies. 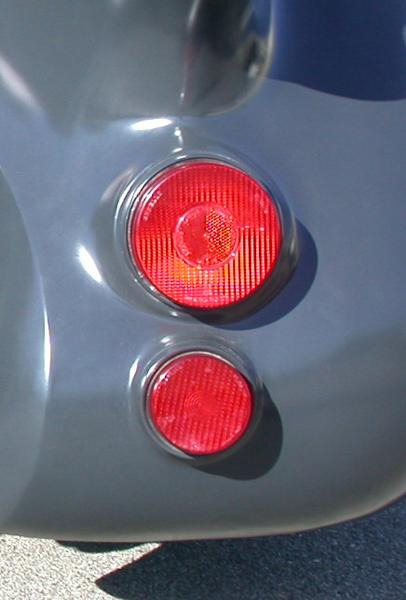 You can see the faint grill outlines on most of the Butts cars. I don't know where the canopy came from, but it doesn't fit properly. That is what I was told by both Bob and Joan Butts. But that's not the truth. I loved Bob dearly, but he told you what suited him legally at the time. Jay got a HUGE loan from Bob and put up the 89, the Batmissile, the Miami Vice Scarab and trailer, (Now painted red, Jay loved to paint EVERYTHING red, even had a red 89 for a year or two himself) his girlfriend's Caddy, and a Barris Buggy. When Jay didn't come through, Bob called me and in his usual voice said "He's a a$$hole! Help me get rid of some of this sh#$!!!" Batmissile went to Tornado's in AZ, Boat to a client in Marina Del Ray and Jay paid him back for the Caddy. But the 89 went to the shop of one of his "friends" (Whom we'll still protect. But you KNOW who ran out all of his stuff anyway don't you) to be molded before going to John's for completion to go to the Mid-West Museum. A ton of cars were pulled out of those molds and I repped those cars for years for him and got to know those molds too well. When all of the crap went down with WB, they came and took out his replicas. His son and I took the #2 molds along with his West molds and Batcycle and split to his hometown of Moline, Illinois. The number one molds were squashed and that made them happy because they thought they got all the cars and molds. We were happy sitting on the 5th floor of a building that his kid bought as a warehouse, using the bottom floor for "Jesters" Comedy club and making Batmobiles on the top. That famous pic of me cutting the West body in half is because all of the molds were disassembled to get them through the double door but the completed body we took was too big. So I cut it in half!!!!! 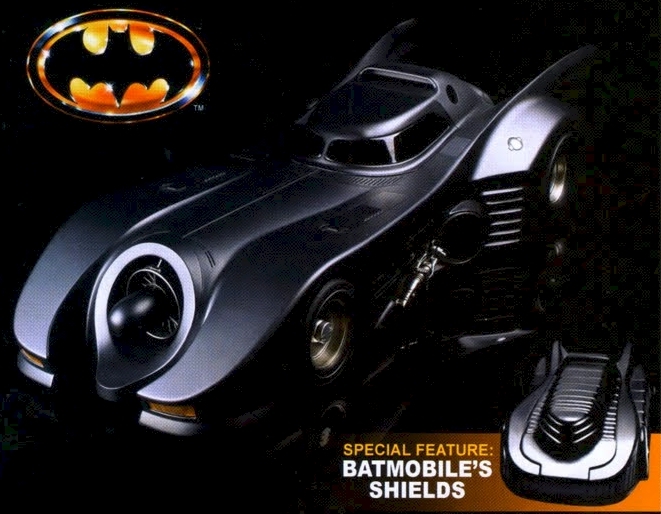 The Shield molds are still sitting in the warehouse in Burbank with a 10K price tag on them, Half of the Batskiboat molds are there too (I have the other half) and the Duck molds. So you see... Jay never had the molds to sell him. Nye and I did! We used them right up to the point the kid sold them to Gary in Schamburg, Illinois because Gary was trying to protect against additional replicas being made and maintaining the exclusivity of his car. The kid told him that these were the only molds in existance and no more could be made. But that was BS, because we'd already run cars out of it. And if you've got a car, you've got a mold waiting to happen. And that's what I did. Gary also bought the West molds and the car I cut in half. The kid forgot about the Batbike, because several of the pieces were missing and he didn't know what to do with them. I bought them from Jay and replaced the missing pieces with molds made from parts provided by our mutual Batcycle friend in Northern Cali. Where do you think he got HIS 89 from dude? Same with your friend in Iowa. I know this because Gary called Bob to get the West car finished and Bob referred him to me. Gary confirmed Nye's story about the molds and asked "What makes you think you can put the two halves of the TV car back together that some a$$hole cut in half?" I said; "Because I'm the a$$hole that cut it in half in the first place!" Bob had an additional set of molds pulled from one of the bodies (Maybe even YOURS!) and sold it to our Bat-friend in NYC. He's still got them. Bob kept the molds of the 89 at the moldshop until he "trashed" them and they ended up in Robert's hands and he started selling them like cheap donuts to anyone. But those molds are NOT Jay's. it's the only one you can actually drive everyday!" Does that hold any purpose? Why does someone pay top price for that? 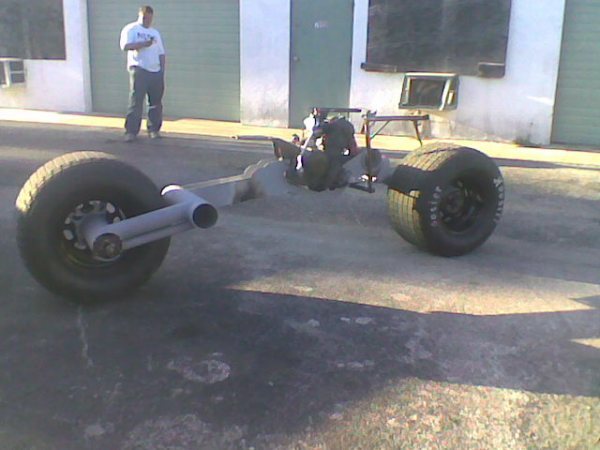 And is it even movable? Is it hollow inside? Oh and can you show us the ? Why do most of the six flag ones have decals on them? Heck where can I get those decals?